This cleverly designed locking device incorporating magnetic technology is the most effective way to secure your oil supply against theft as it is and is almost impossible to remove. 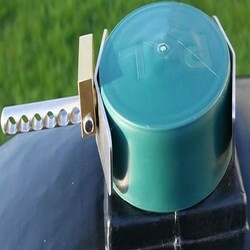 Most locking caps on the market are supplied in two pieces and often installed using low quality padlocks which can easily be removed or broken. These locks often cease and become impossible to open with a key when exposed to outdoor temperatures during cold winter months. The Spinsecure is a one piece padlock free design. to fit any standard fuel tank (2 Inch male thread fill point inlet). When the cap is locked it spins freely. 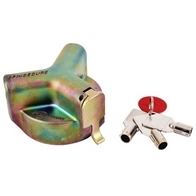 It comes with three keys unique to that particular lock, it has a rubber gasket seal to prevent leaks and has an integrated safety thermal valve to cope with temperature fluctuations. 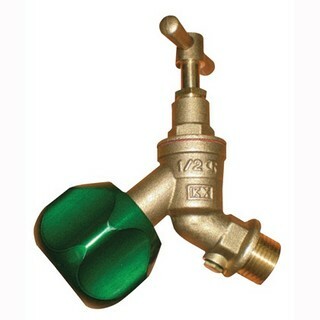 1: Simply screw tank lock onto the fill point inlet on your tank. 2: Deactivate magnetic locking device with the key supplied. 3: Your tank lock will now spin freely securing the contents against theft. 4: To access fuel insert key again and turn to open tank lock. For use on 2" MALE threads. Rubber gasket seal to prevent leaks. High security numbered lock with over 50,000 combinations. 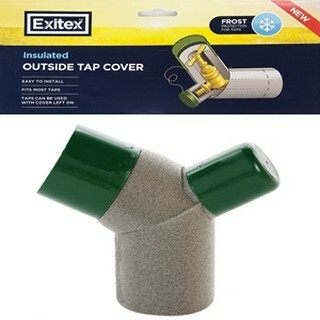 Weatherproof/'o'-ring sealed self closing cover. No sealants or adhesive required.